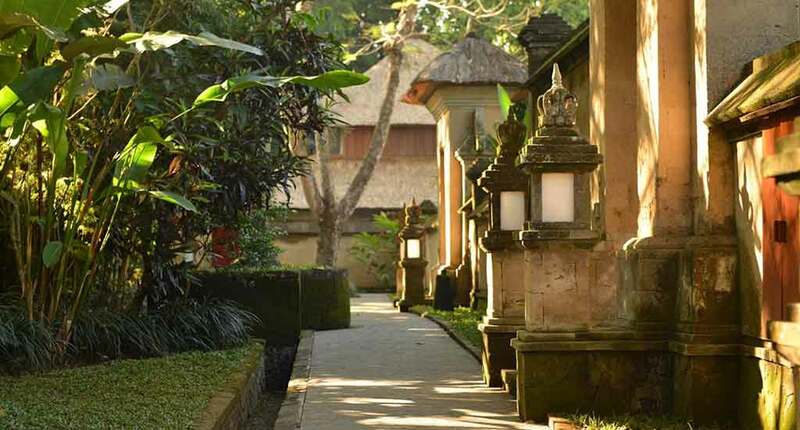 Amidst the working rice paddies and lush green ravines of Ubud, lays nested the perfect Amandari Ubud retreat. Ubud used to be a mecca for those that sought and distributed medicinal herbs and plants, so it is no surprise that its name is derived from the Balinese word “ubad”, meaning medicine. The hotel offers complementary drives to and from the International Airport in Denpasar. It is a one-hour drive from the resort. Overlooking the Ayung River, this resort is surrounded by abundant exotic vegetation, each of the 30 luxurious suites combining parts of the village’s traditional local charm with exquisite conditions and unparalleled comfort and services. The river-stone walkways and high paras stone walls were inspired by local aesthetics. The hotel has 30 single room suites and duplex villas which have a sophisticated take on the local style, with thatched roofs, tiled floors and floor-to-ceiling sliding glass doors that give a sense of freedom. Beds are hand carved and decorated with painted designs and bathrooms have outdoor sunken marble baths. The Asmara and Ayung Suites come with upstairs bedrooms and a downstairs living room. 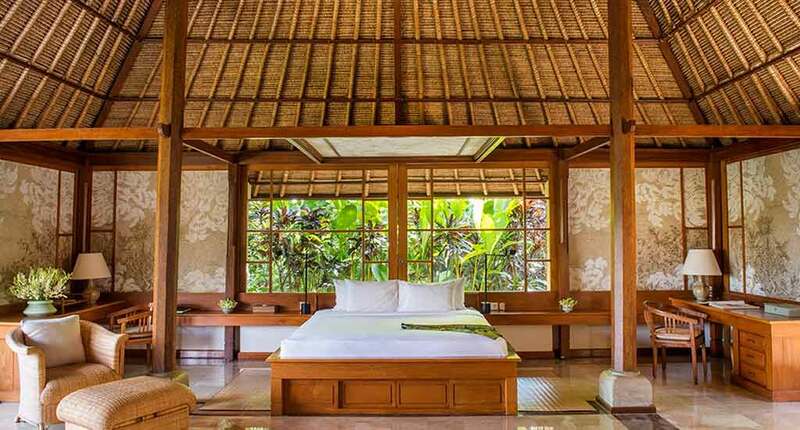 The Amandari Suite offers single or double bedrooms, with a separate living room, a personal swimming pool, outdoor bale made of teak and bamboo and separate bathrooms with Javanese marble floors. 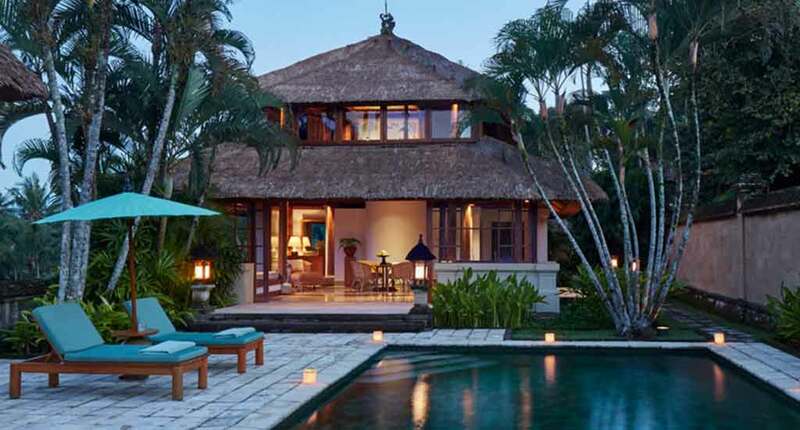 For those who are truly dedicated to the lavish lifestyle, there is the Amandari Villa, having five pavilions engulfed by the rice terraces and verdant gardens, with a two-tiered swimming pool and two staff members from Amandari waiting to fulfill every need of yours. And to top all that, you are provided with an on-call vehicle that will transport you to and from the resort, any drive being no longer than one minute. Al rooms provide sound system, safe, wifi, air conditioning, and personal bar. The suites have separate dressing areas, while you find outdoors a sinken marble bathtub. A 32-metre infinity pool lined with green tiles gives the water an emerald color which matches perfectly the views of the surrounding lush forest. 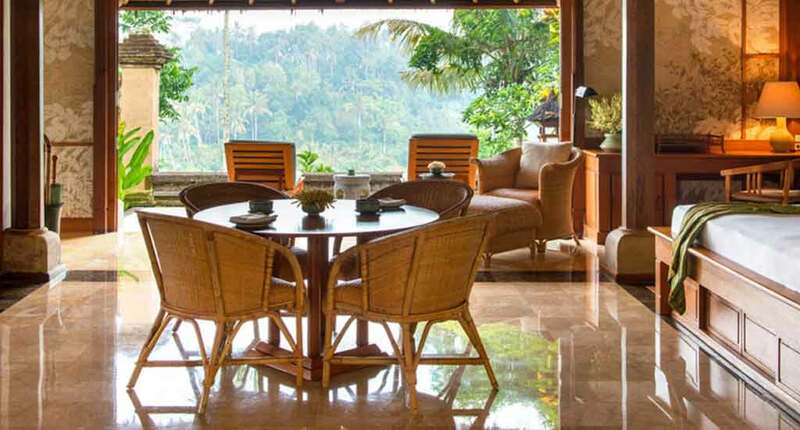 In addition the Amandari Ubud has an open-air restaurant, terrace-styled bar, a stocked library and internet access. 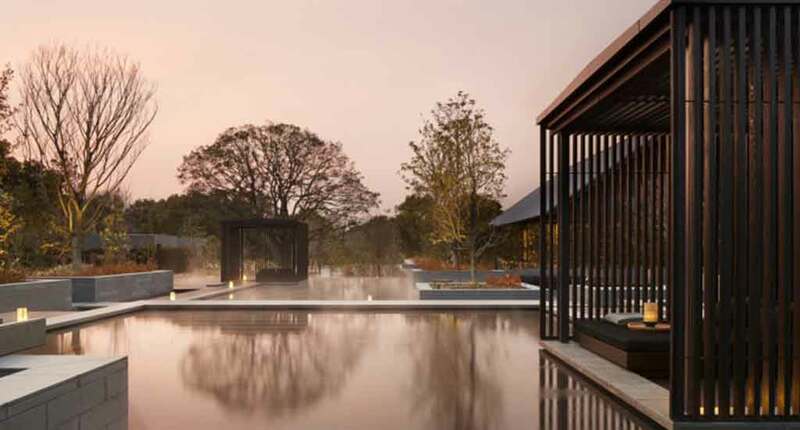 The health and fitness center is equipped with a well provisioned cardio-gym and a Spa with an impressive selection of beauty treatments, outdoor massage bales, sauna and steam rooms, both with views of the surrounding luxurious gardens and lotus pond. Ubud is regarded as an arts and culture center, it draws large crowds of artisans and admirers alike. There are restaurant owners that arrange for cultural dances and theatrical performances to take place at night to immerse newcomers in local Balinese arts. One of the most popular tourist attractions is the Ubud Monkey Forest which houses the hindu temple Pura Dalem Agung Padangtegal and approximately 340 macaque monkeys. We recommend Ubud’s galleries and museums for those in cultural pursuit and the Pasar Seni market and local shops for avid shoppers. This tropical retreat boasts an abundance of unique wildlife and nature, perfect for those that want to get away from the hustle and bustle of the city. Amandari is in perfect harmony with its surroundings. It creates a calming environment in which it gets easy to reconnect with nature. The Amandari resort is a great retreat for couples and families that want to relax and treat themselves to a wonderful spa session surrounded by calming views of nature.